Oshawa’s archivist Jennifer Weymark oversees, manages and preserves many aspects of Oshawa’s history. Transforming the large collection of hardcopy and microfilm newspapers into digital editions has presented its own brand of troubles. For decades, printing the news on one of the most degradable forms of paper has made a statement. Read with your morning coffee, the pages crinkle, perhaps tear slightly before being folded loosely and put aside after the knowledge they contain is absorbed and carried out the front door with you on your way to work. And the process repeats itself the next day with another fresh, crisp stack of newsprint, which inevitably joins the pile of loosely folded pages, no longer crisp, no longer of use for anything more than starting a campfire. Those papers not turned to ash in a fire pit would have ended up in a recycle bin, or for some, the bottom of a trunk, the memory of a loved one, a big day in world history, or a moment of fame, preserved in paper and ink for years to come. Over the years, the Oshawa Museum and Archives, managed by the Oshawa Historical Society, has been amassing these old pieces of newsprint into a collection that reaches into the thousands. 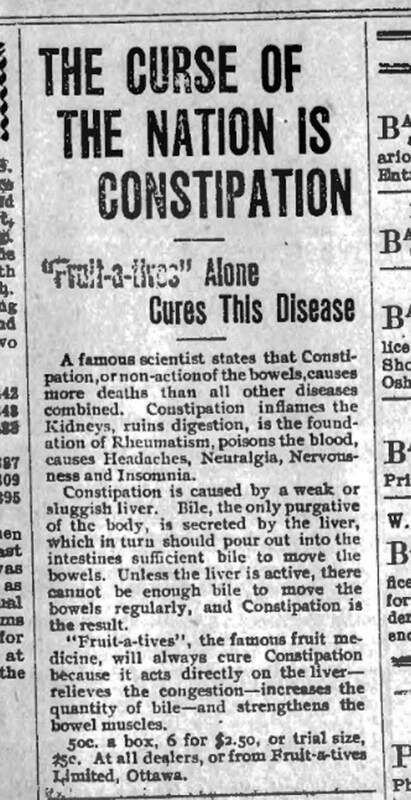 Like an old memory in the movies, the old newspapers turn to sepia-toned versions of their former selves as the events they describe drift further back into the history books. Now, the Oshawa Museum is looking to hit the pause button on that decay and preserve city’s printed past. Years ago, it was a battle for attentions across Oshawa’s newspaper landscape. It may be hard to swallow in the day of social media and non-stop breaking news, but at one time, Oshawa supported two daily newspapers, and they hated each other. The Oshawa Daily Reformer and The Oshawa Vindicator fought for citizens’ attention, pushing mayoral candidates, bylaws and generally enforcing their views onto readers – their views not only on city happenings, but on their competitor as well. The war of words between the Reformer and Vindicator was preceded by a pair of other daily papers in the city, The Ontario Reformer, Oshawa’s first daily, and The Oshawa Courier. Oshawa also saw The Oshawa Daily Telegram, The Oshawa Free Press and The Oshawa Daily Times, which eventually evolved to become the well-known Oshawa Times (or Oshawa Times-Gazette). All in all, approximately eight daily newspapers have lived and died in Oshawa, but not before their heyday captured some of the city’s most historic moments. “Newspapers are the number one source of getting a really interesting look at what our life was like here in Oshawa in the past,” Weymark says. However, the city’s fading, yellowing memory has gaps – gaps burned into its timeline by a pair of devastating fires. According to Weymark, the archives’ records are detailed for the years between 1862 and 1872. However, a fire at the Oshawa Times offices burned away nearly 50 years of newspapers, destroying most of the city’s newspaper records of the First World War. Oddly enough, the records pertaining to news of the Second World War would be destroyed in a separate fire years later. Despite the losses, the archives’ collection remains substantial, including more than 20 rolls of microfilm, each containing numerous newspapers and pages and 360 individual hard copy pages. In total, the collection is estimated to be in the thousands of pages. The pages document everything from historic police reports and community events to major events in Oshawa’s history, such as a biplane crashing on to the roofs of the city’s downtown in 1918 – an event labelled as one of the most photographed events in the city’s past. 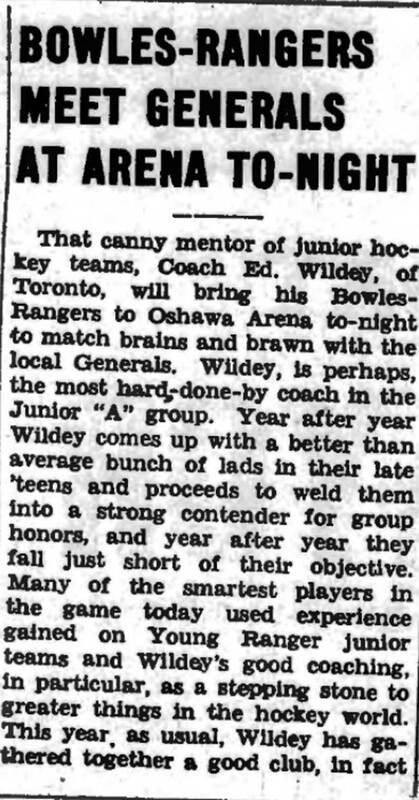 The Oshawa Generals also find themselves in the yellowed pages with chronicles of their time at the Oshawa Arena before it burned down in 1953. Now, the museum is working to bring these printed pages into the 21st century. In a way, there is a slight irony that technology, one of the most obvious threats to hard copy newspapers, is the thing that will serve as its saviour. By putting these historic news items online, Weymark says they are not only catering to the history buffs in the community, but academics as well. “They don’t have access to this,” she explains. For researchers, viewing the archives would require an in-person visit to the museum, and with requests coming in from across the globe, Weymark says that just isn’t realistic. “By doing this project, by digitizing them and making them available online and searchable online, this means that our amazing and interesting and sometimes hilarious history is now accessible to so much bigger of an audience,” she says. However, preserving crumbling 100-year-old, newspapers is no easy task. Normally, aging documents are digitized with the help of an industrial scanner. Newspapers, however, are too fragile, and the use of a scanner would do nothing more than shred them to pieces. As a result, the next best option is high resolution photography. To help them with that, the Oshawa Museum recruited the expertise of photographer Mark Fritzler. Fritzler, a seasoned vet when it comes to capturing historic items, was most recently involved with digitally reproducing heritage wallpaper for Spadina House in Toronto. He’s also done work with the Oshawa Museum in the past, and was given chief responsibility for capturing the archives’ newspaper collection. While only a single shot is used to capture each page, the attention to detail for each picture is paramount, Fritzler says. Now, many of the final results are viewable online at communitydigitalarchives.com and the public can read newspaper dating as far back as 1895 copies of The Ontario Reformer, 1,378 pages from 1895 through 1922 available. 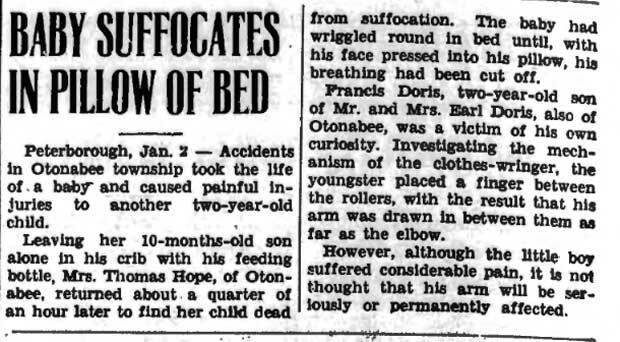 The online collection includes more than 11,000 pages from each of Oshawa’s historic dailies, the largest selection being that of the Oshawa Times at 10,268 pages. And the significance of the history he preserved was not lost on Fritzler. In total, the final cost for the project came in under $10,000, something Weymark attributes to the collaborations with Fritzler and the online host, Data Repro Com, as the price tag could have been more than double the final cost. “All of us working together, we’ve done it for a very affordable (price),” she says. The initiative also got help from the Canadian government in the form of a Documentary Heritage Communities grant through Library and Archives Canada. “Without them, we would not have been able to do this,” Weymark says. 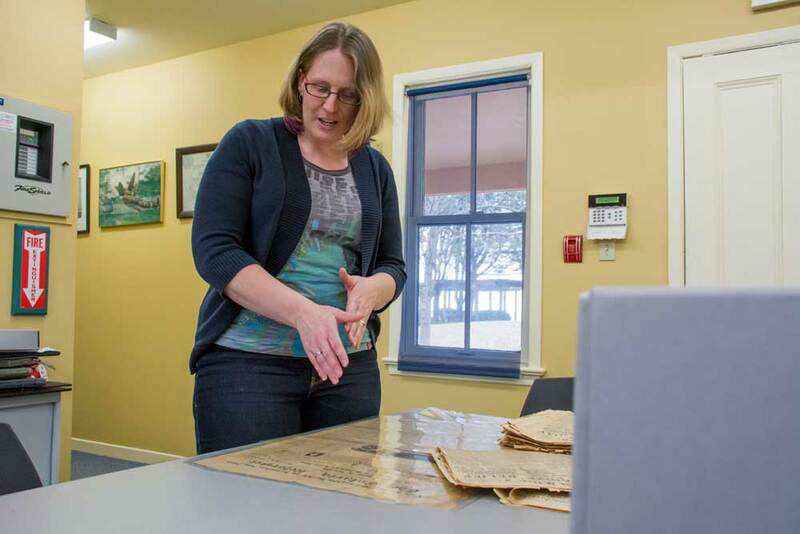 As society continues to churn out newsprint, and new historic items are unearthed from back closets and personal collections, Weymark says the museum will continue to be added to the online collection.